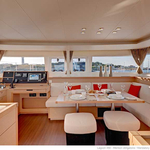 In 2017 has been built yacht Lagoon 450 called Grace. 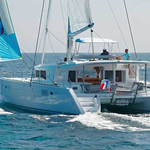 This vessel is available from harbor Marmaris in the region: Marmaris in Turkey. 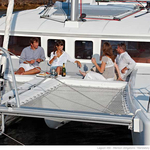 You can accommodate up to 10 crew members on the vessel Grace. Layout of beds is 10. 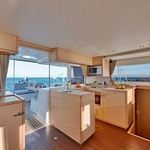 There are 5 cabins situated under yacht's deck. Grace has 5 WC. 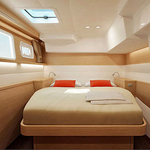 Click for more yachts over here: Catamarans Marmaris. Diesel tank is 1040.00 l liters big , water container has up to 740.00 l liters. In this sailboat is installed engine 2 X 57 HP. 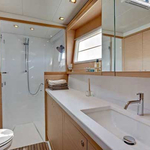 With 13.96 meters of lenght and 7.87 m of width Grace offers enough space for comfortable sailing. 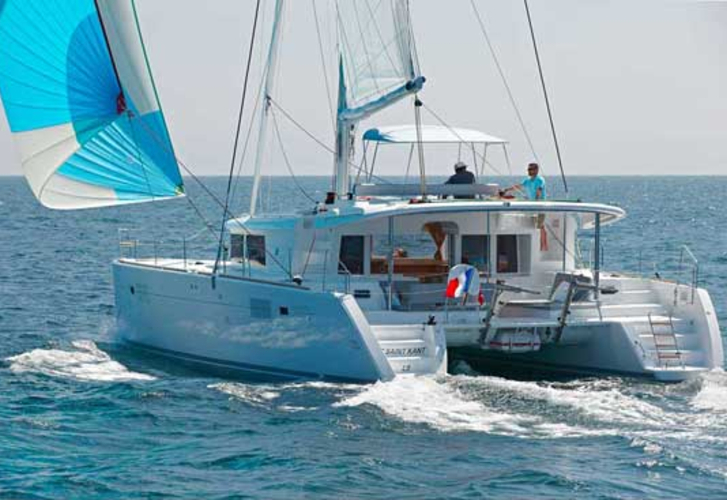 Lagoon 450 Grace is equipped with: Air conditioning, Dvd, Autopilot, Gps plotter, Mobile phone (netted), Bimini top, Dinghy, Electric winch, Anchor electric windlass, Teak cockpit, Mainsail with lazy jack, generator, Inverter 12v-220v. . Nonrefundable deposit has value 2500.00 EUR. 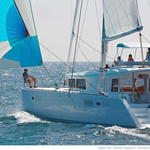 Browse for different boats clicking here: Catamarans Marmaris.